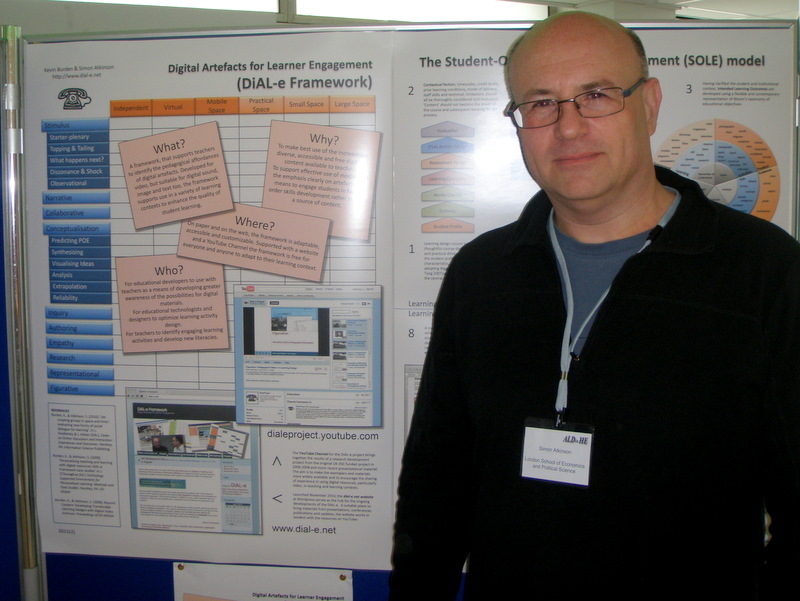 It was a pleasure to join some 120 colleagues at ALDinHE 2011 at Queen's University Belfast. From a range of different HEIs, and a diverse set of professional roles, participants came to share insights and good practice in a range of learning development related activities. The conference theme 'Engaging Students - Engaging Learning' was so closely related to the work the we have done on using digital artefacts (notably video) to support higher order thinking skills in students a submission was a must. I presented to colleagues Wednesday 20th April. I had a 90 minute workshop entitled 'Engaging Learners with Digital Resources'. I opted to use a single webpage on this site to support the workshop, with links to the relevant resources and exemplars, static images and the YouTube channel. So a PowerPoint free zone! After providing a bit of background on the thinking behind the framework I demonstrated a simple example of how what it NOT said or shown in a resource might be the catalyst for the 'what else' question that can, as Phil Race said in his keynote, be the most powerful learning question. Participants then had the chance to consider how two other examples might support non-subject related thinking amongst academic staff. The focus is on what the student is to DO with the clip, not what the clip is 'about'. There was some useful discussion and significant interest in the poster on display (available to download from the workshop page). It was also, on a personal level, a great chance to meetup with former colleagues form the Open University and the University of Hull.